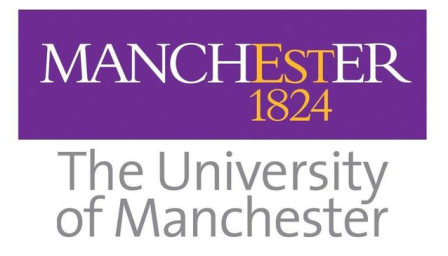 The University of Manchester is offering scholarships for the online Master of Public Health to academically excellent young professionals from Africa (especially Rwanda, Uganda and Tanzania) and international students. Application Deadline: 17th March 2017. About the Award: Online learning gives you the flexibility to combine study with work, family and other commitments. We encourage women to apply. Check the online Master of Public Health (in link below) course pages to make sure you understand what the course involves and read the course description carefully. have a clear idea how studying in Manchester will benefit both your career and the wider community. Please note that a Certificate of Proficiency from a local university cannot be considered as evidence of your level of English language proficiency. IELTS and TOEFL test results are only valid for two years. Your English language test report must be valid on the start date of the course. Also You will require regular access to a modern personal computer (Windows or Mac) with a stable internet connection. You should be confident in using the internet for web browsing and sending emails and also using word processing software, such as Microsoft Word. Value of Scholarship: Scholarships cover all tuition fees, course materials and examinations. How to Apply: You don’t need to have an offer of admission to apply for the scholarship. Please do not apply for master’s admission separately; if your scholarship application is successful then an academic offer will be made. Eligible Countries: Rwanda, Uganda and Tanzania. Now that all the information about University of Manchester Fully-funded Online Masters Scholarships for African Countries has been delivered nicely; talented students who are eager to pursue their Shell Free Tuition/Scholarships/Study online for Undergraduate, Bachelors, Postgraduate, Masters, PhD, Associate Degree and Other Degrees, can apply now.